He represented England at youth tournaments, playing for the Under-16, Under-17, Under-19 and Under-21, but he thereafter opted to play for Nigeria. He began his professional career in the Championship with Crystal Palace, before his performances caught the eye of Wigan Athletic, where he made his Premier League debut in 2010. After two years, his game had improved to the extent that European champions Chelsea were interested, and he signed for them in the summer of 2012. Despite ten goals in all competitions during his first season, he spent his second season on loan to Liverpool, his third on loan at Stoke City and his fourth on loan at West Ham United. 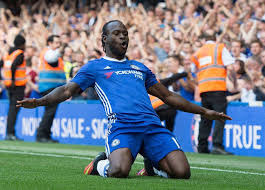 He has been capped more than 20 times for Nigeria since his debut in 2012 and was part of the winning squad at the 2013 Africa Cup of Nations, as well as the campaign in the 2014 FIFA World Cup.